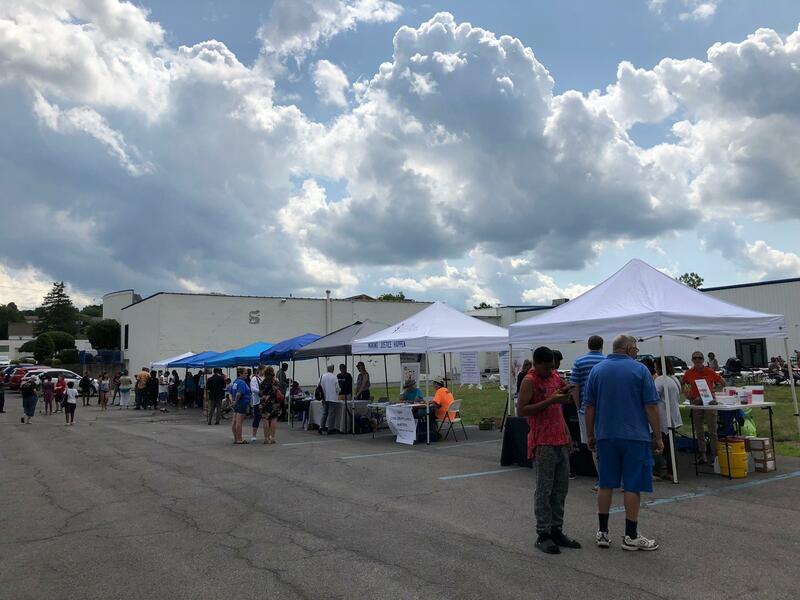 A view from 'Get the Lead Out Block Party' in Syracuse over the weekend. Organizers say the problem remains a major concern because the city has one of the highest rates of lead poisoning in the entire country. Jaime Howley, one of the organizers of the party, says the number one source of lead in Syracuse has not changed in decades. “90 percent of the houses in Syracuse were built before 1978, 90 percent have lead paint in them,” Howley said. When paint begins to deteriorate, it chips or turns to dust. Young children often accidently consume the paint chips or inhale the dust. When the lead enters their bloodstream, it can cause learning disabilities, hearing impairments, and other chronic illnesses. New York City Council member Jumanne Williams came all the way from Brooklyn to attend Saturday’s event. Williams has already worked to pass lead legislation in his district, but he is particularly concerned about Syracuse. State Senate Candidate Rachel May has some fun with Lieutenant Governor Candidate Jumanee Williams. Williams is turning his concern into action by running for Lieutenant Governor this fall. 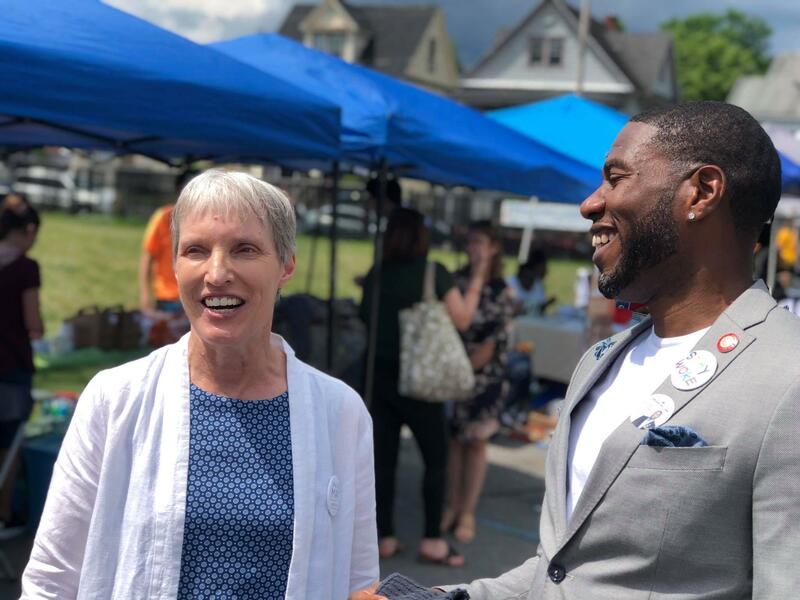 He, along with State Senate Candidate Rachel May stopped by Saturday's event to meet residents and endorse one another. The two democrats agree on many issues and want to create a sense of collaborative campaigning with other emerging candidates. 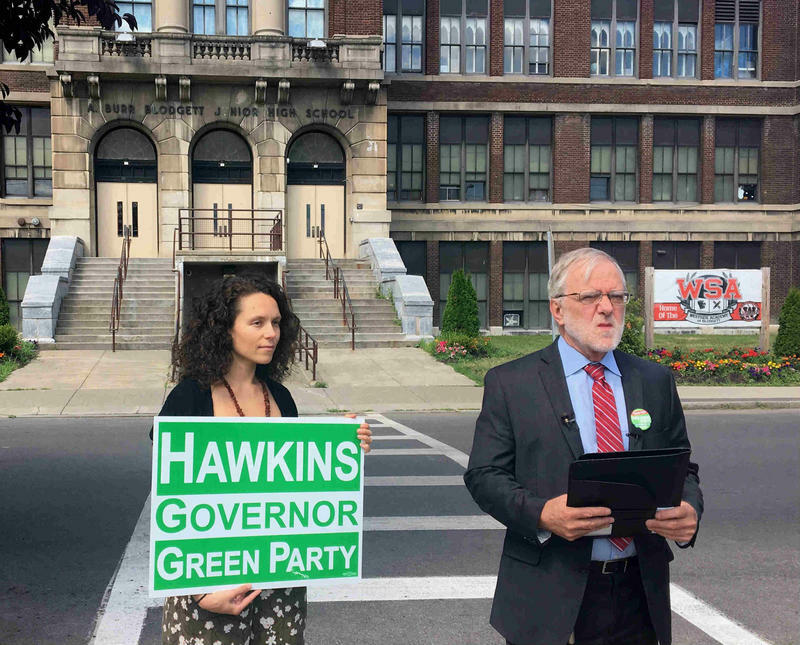 “‘Any blue just won’t do’ we don’t just need to elect democrats, we need to elect the right democrats because this state could be a leader on so many issues, and right now it’s not that leader,” Williams said. Both May and Williams say they are disappointed with the corruption problems that have surrounded Governor Andrew Cuomo. Through November’s Gubernatorial election, they hope to see change in Albany. May is challenging Senator Dave Valesky. Williams is running with Gubernatorial candidate Cynthia Nixon. For resources in Onondaga County on how to protect yourself and your kids from lead poisoning or how to address lead paint concerns, click here.